Have you ever had a week from H-E-Double Toothpicks and then you realize it’s only Thursday and you still have three more days left in the week? 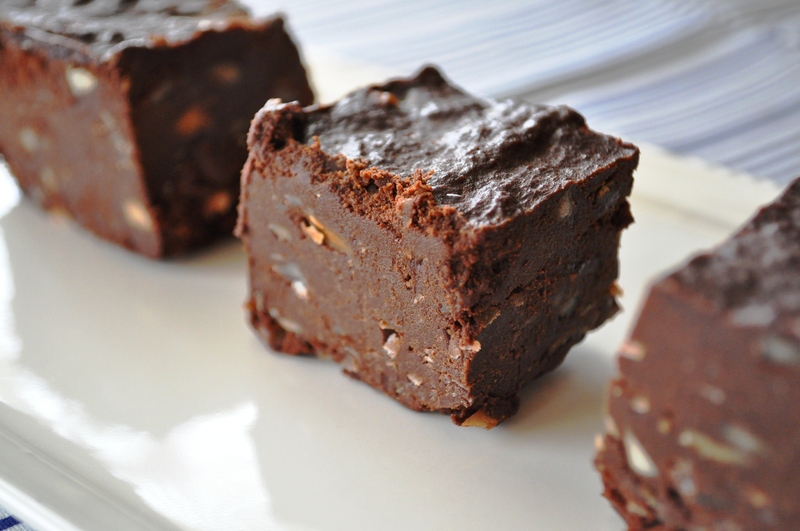 A week like that calls for rum fudge. 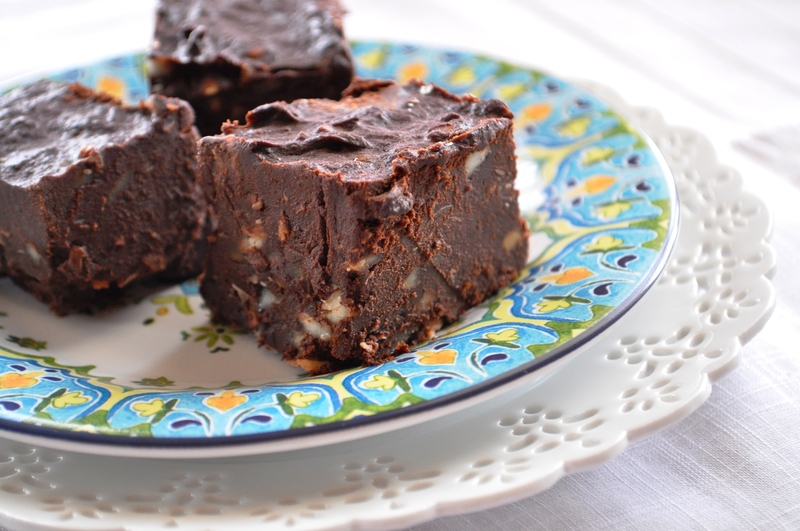 A week like that calls for rum fudge, wine with dinner, and probably mojitos and lemon drops in the yard over the weekend. Lots of them. 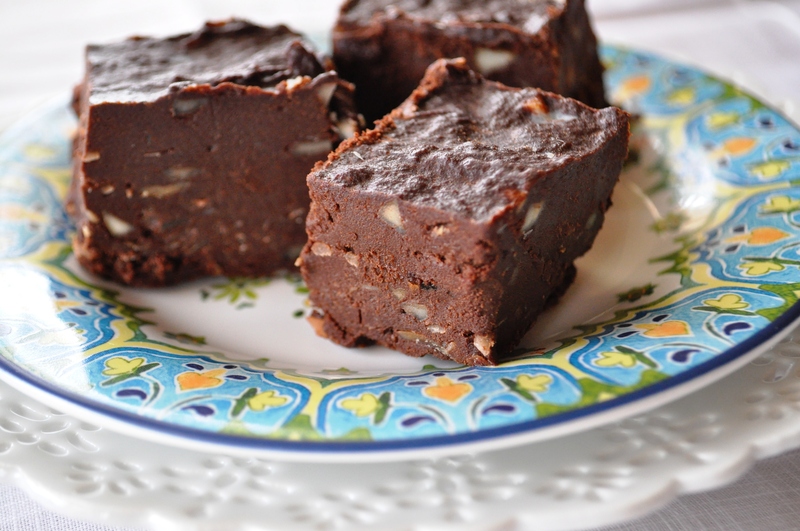 *This recipe was adapted from Gluten Free On A Shoestring‘s chocolate & peanut butter fudge. 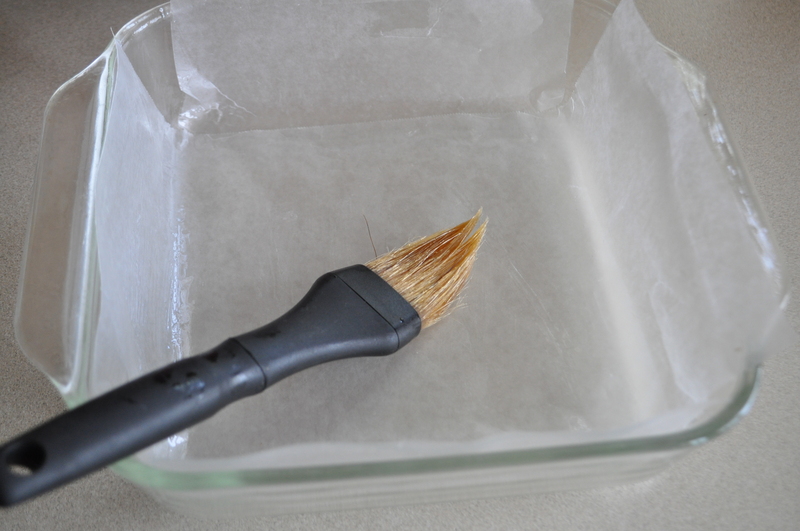 Line an 8 inch square baking pan with doubled crisscrossed waxed paper. Melt coconut oil and brush on generously. I only used one layer, I think it would have come out of the pan easier with two, or even with the bottom layer being parchment. 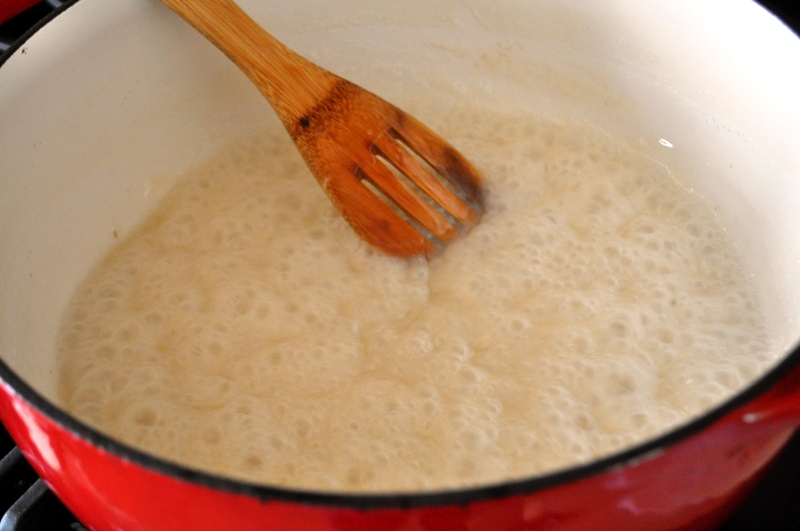 In a heavy sauce pan or dutch oven bring the coconut milk and sugar to a boil on medium-high. 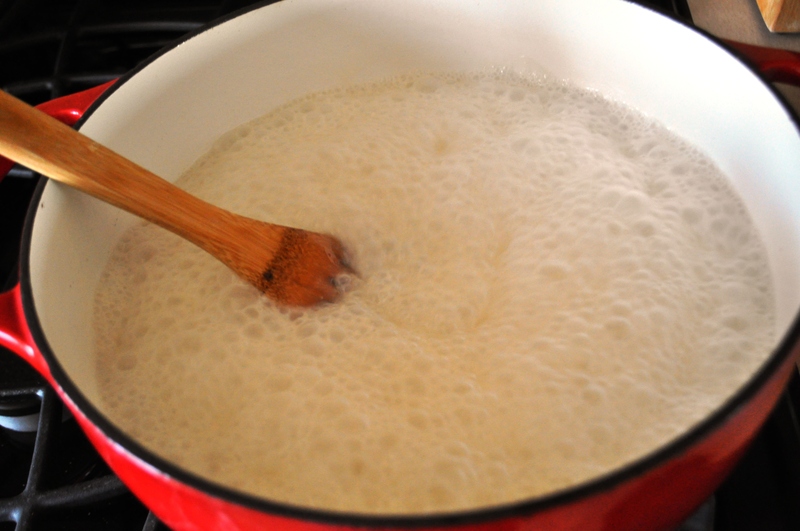 Continue to boil, stirring well about every 3 minutes until liquid is reduced by half, is slightly thickened, and begins to turn a light amber color. I didn’t keep my eye on the clock, but I would guess it was about 20-25 minutes. This picture doesn’t show it, but it’s a bit darker than this, but not by much. Once it reaches this point, remove from the heat and add the instant coffee, salt, vanilla, and rum. Stir to combine until the coffee granules have dissolved. 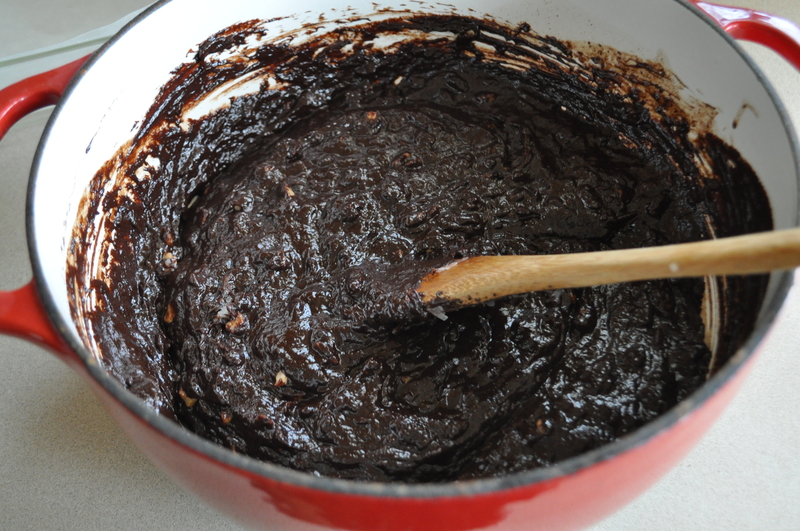 Add the chopped chocolate and stir until completely melted. Add the nuts and coconut and fold in. Pour into lined pan. 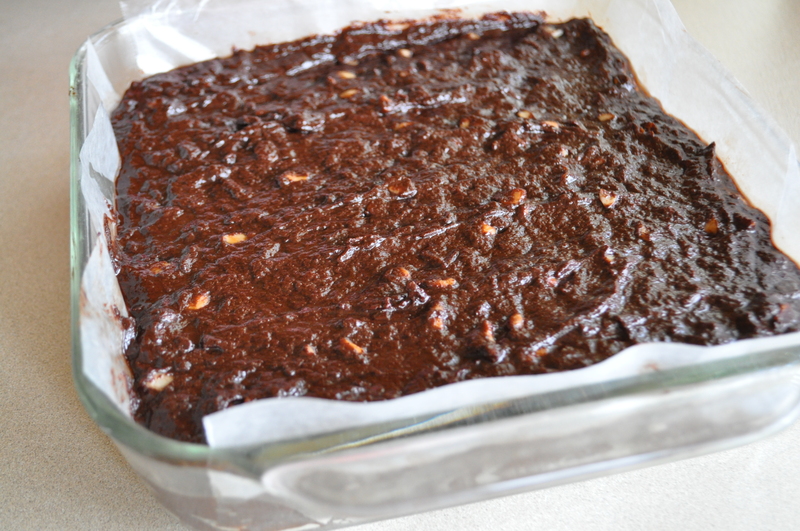 Smooth with spoon and allow to set up in the freezer for three hours or overnight in the refrigerator. When ready to cut, allow to sit on counter for 15 minutes. 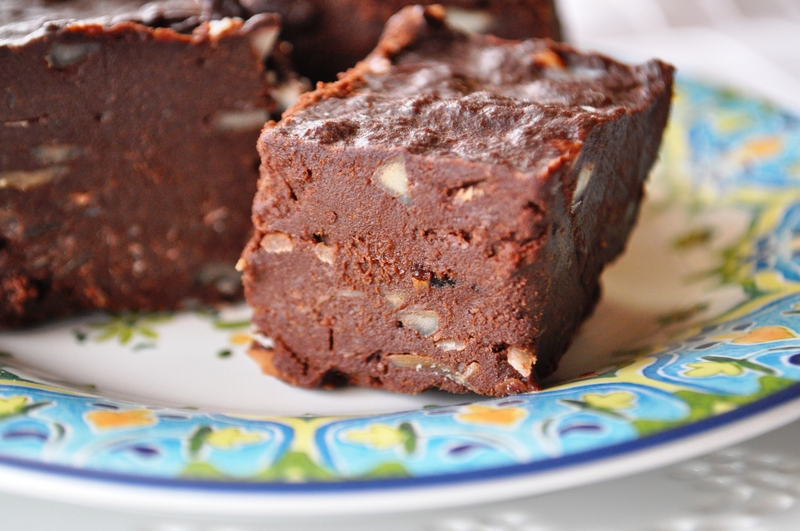 Remove fudge from pan with the sides of the wax paper and/or parchment and slice, or slice it right in the pan. Keep leftovers in fridge or freezer.